In 1958, at the age of 17, Lacroce journeyed to America with his parents from Isca, Italy. Working his way up as a skilled carpenter—while simultaneously learning English—Lacroce eventually opened his own business designing and manufacturing bank interiors. This eventually led to three subsidiary companies. In 1970, Lacroce’s son, Joseph, was diagnosed with leukemia. Arriving at CHOP for treatment, Joseph’s overnight bag, filled with his favorite toys, was stolen from the car in the parking lot. Over 40 years later in 2011, Lacroce and some likeminded car enthusiasts founded Carz N’ Toyz, a 501 (c)(3) nonprofit that raises money and collects toys for hospitalized children in Joseph’s memory. 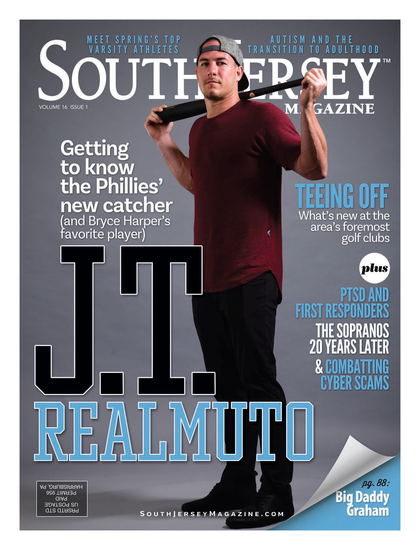 Supporting children throughout the region, but primarily for South Jersey’s Virtua hospitals, the charity has grown to provide car seats, books, book cases, video games and more. In May, Carz N’ Toyz pledged $1 million to the Virtua Foundation’s Pediatric Mobile Services Program. This donation will help bring Virtua Pediatric Intervention, health, education and screening services to less fortunate neighborhoods. In October, Carz N’ Toys was renamed the Joseph Lacroce Foundation. The CEO of Davis Enterprises located in Evesham, Davis is not only focused on the company’s growth and continued success but its philanthropic mission as well. Known as a valued, self-motivated and intuitive employee, Davis’ hard work and dedication transfer over into his charity work. As a member of the board of trustees for the Ronald McDonald House of Southern NJ, Davis helps shape organizational policies and governs the direction of growth of the charity. He was also named the 2013 Volunteer of the Year Honoree for Habitat for Humanity, Burlington County for dedicated and tireless leadership, support and resources to the nonprofit. Davis Enterprises is currently developing a building for the Habitat for Humanity in Evesham. Davis and his company also support the Make-A-Wish Foundation, Memorial Sloan Kettering and JCC Camps at Medford. T he CEO of Tabula Rasa Healthcare (TRHC) and founder and CEO of CareKinesis, Knowlton is known as a nationally recognized, award-winning health care leader. With a pharmacy degree from Temple University, a divinity degree from Princeton Theological Seminary and a Ph.D. in pharmacoeconomics from the University of Maryland, Knowlton has won numerous awards for his leadership in both pharmacy and business. In 2003 and 2013, Knowlton received the Ernst and Young Entrepreneur of the Year Award, Greater Philadelphia Region, and in 2016 he was named Philadelphia Technology CEO of the year. 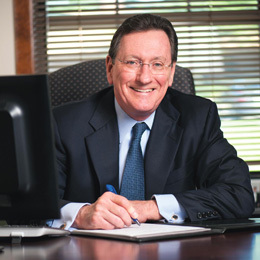 Knowlton currently serves as chair of the board of Evergreens Continuing Care Retirement Community and is a founding board member of the Cooper Medical School of Rowan University. He also recently finished terms on the board of St. Christopher’s Hospital for Children in Philadelphia and the Settlement Music School. In 2015, Knowlton was presented with pharmacy’s highest honor, the Remington Honor Medal. As the chief development officer for Samaritan Healthcare & Hospice, Rollins leads the organization’s fundraising efforts. He has served as the senior development professional at Southern Regional Medical Center in Atlanta, Virtua and Southern Ocean Medical Center in Manahawkin. Most recently, as executive vice president of Pride Philanthropy, Rollins consulted with nonprofit organizations across the eastern United States. Outside his professional role, he serves as secretary and governance chair of the Community Foundation of South Jersey; and past president and founding member of the South Jersey Chapter of the Association of Fundraising Professionals. He teaches and speaks on fundraising, nonprofits and governance at area colleges and associations, and presents training sessions for the Pride Development Institute. And, in 2010, he published his first book: TRUISMS of Fundraising. As a commercial real estate professional for the last 17 years, Mc- Govern says the most rewarding part of his job is the opportunity to meet new people each day, develop long-lasting relationships and to help create value for his clients. A longtime South Jersey resident, he also believes in giving back to the community. He has been board member of The South Jersey Young Professionals Association for the last seven years, serving as treasurer for the last two. The group has raised sizeable donations for local charities including YMCA’s Camp No Worries, Bancroft, Big Brothers & Big Sisters, Robins Nest, Homes For Our Troops, Habitat for Humanity and most recently, the victims of Hurricane Harvey. The owner and founder of South Jersey Periodontics & Dental Implants in Sewell, Kubikian is committed to remaining at the forefront of industry technology including being one of the first to have a dedicated 3D cone beam scan room in South Jersey. He also founded the South Jersey Dental Study Club to parallel his commitment to ongoing education and enhancement of the dental industry. Beyond dentistry, Kubikian has been PTA president and a principal advisory committee member at Elizabeth Haddon Elementary School. He also actively supports charitable organizations such as the Make-A-Wish Foundation, American Red Cross and Dance for a Cause. As executive director of The Joseph Fund, a Camdenbased nonprofit, Catrambone has over 25 years of executive and management level experience since previously serving as director of major gifts for AtlantiCare Health Systems. The Joseph Fund family of services is to provide assistance to individuals and families in Camden living on the edge of poverty and even more desperate situations. Catrambone is responsible for operations, fundraising, budgeting and community outreach that benefit programs to get affordable housing, education, youth programs and transitional housing for homeless citizens. Catrambone is also a member of the Chamber of Commerce of Southern NJ, Association of Fundraising Professionals and Council for Advancement and Support of Education and Living Bridges. Catrambone is also a founding member of Spirited Business Works. Both originally hailing from Philadelphia, this pair met while studying engineering at Drexel University in the early ’90s. In 2002, they co-founded An Opportunity’s Knockin’ Inc. (A OK), a nonprofit centered around working with children and young adults about what matters to them, how they want to define success and ultimately relaying the message that it’s not what you want to become … but who that matters. The group presents character development assemblies at schools throughout South Jersey, focusing on principles of success and happiness in life. Ravitz is the president of Supermarkets of Cherry Hill Inc. trading as Ravitz Family Markets. He served as chairman of the Ravitz Family Foundation, a private, nonprofit founded by his parents in 1996 that is dedicated to helping children and families in need, for more than 20 years before passing the torch to his son Brett last year. He remains a board member and chairman emeritus. The foundation has made grants over the years to more than 250 charities and community-based organizations in South Jersey while raising more than $2 million for community groups and organizations, funding everything from after-school programs and playgrounds to food pantries and community gardens. He also serves on the board of Crescent Memorial Park. Serving as the chief digital officer for PwC as a member of their US Leadership Team, Atkinson executes the firm’s vision to digitally enable the business, better leverages technology and talent and brings a vast knowledge and experience to the firm’s clients. Atkinson, a Haddonfield resident, is heavily involved in the South Jersey community. He is currently the vice chairman of the board of trustees for Bancroft, a member of the advisory board for the Pennsylvania State University College of Information Sciences & Technology and is a trustee for the Community Foundation of South Jersey. Previously, Atkinson served as the trustee for the PwC Charitable Foundation overseeing the firm’s charitable activities. Vail’s journey of giving back started over 25 years ago, serving as a youth soccer coach, president of the Bullock/ Rodger PTA, a member of Glassboro’s BOE and president of Main Street Glassboro’s board. In 2001, he joined the Gloucester County Chamber and in 2002 was appointed to the board. He quickly changed the organization’s focus from just giving back to its members to also giving back to the community. In 2007, he was elected chairman and in 2010 was hired as the Chamber’s president and CEO. In addition, he serves on the boards of the American Cancer Society, March of Dimes South Jersey Chapter, Entrepreneur’s Forum of SNJ, People for People and chairs the Gloucester County Workforce Development Board and Glassboro Planning Board. The Mount Laurel resident is the chief development officer of Maryville Addiction Treatment Center, a provider of medically supervised inpatient withdrawal management, residential programs, intensive outpatient, educational and supportive programs for individuals and families affected by addictive disease and co-occurring disorders. In his role, Crowe raises funds and builds awareness for Maryville by overseeing fundraising, marketing, communication and business development activities. He also serves as an active member of the board of trustees for the Burlington County Regional Chamber of Commerce. Having been in the music industry for the past 19 years, Rinaldi serves as the senior vice president of institutional sales for Jacobs Music Company. Rinaldi was elected to the board of directors for the Hope for Henry Foundation and is an avid supporter of CHOP where he pushed for the purchase of a new Steinway & Sons concert grand piano for their lobby. He also supports the Ronald Mc- Donald House as well as other charities geared toward children with special needs. Rinaldi continues to support music making in our community by providing music scholarships for piano students at local universities, supporting art programs and has created and sponsors a monthly radio program on WWFM, Kids on Keys. Living in Washington Township with his wife, Sulpizio serves as senior vice president, director of retail banking at Parke Bank. He is also immersed in the local community, serving as the president of Gloucester County Habitat for Humanity and the South Jersey Bankers Security Associates, a board member of the Citizens Crime Commission of Philadelphia, an active member of the Gloucester County Chamber Executive Club and was recently appointed to the Gloucester County Workforce Development Board. He is also a past president of the Washington Township Rotary Club, an active member of the Washington Township and Gloucester County Chambers of Commerce and speaks at various high schools and Rowan University.